Massive thanks to my #sweatpink sister Polly at Polly Defies Gravity for this Leibster Award Nomination! What a great blog, make sure to check her out! 2. Display the Liebster Award and the rules. 4. Write 11 facts about yourself. 5. Nominate 11 other bloggers (who have less than 200 followers). 6. Write 11 new questions for your nominees. 1. What would your autobiography be titled? The Diary of a pole-addict. 2. What 3 words would you use to describe yourself? 3. You’re a new addition to the crayon box, what color would you be and why? I would be sunny yellow because if you mix me up too much or put me with the wrong crayons I go that odd greeny brown where you're not sure what happened, but usually I'll go with anything, I'm very visible and I'll (attempt to) brighten the page....And I'm cheesy. As you can see. I'm ok with being the colour of cheese. If only things were made of cheese....like my desk....mmmm. 4. If you had an invisibility cloak, how would you use it? I would take my invisibility cloak and observe other peoples behaviour. I always think it's interesting that the very event of our being there changes something, so if I could see it and not be there....or would that count as still being there? Ooooooh. 5. If your life had a theme song, what would it be? 6. If you had to plan a parade, what would be the theme? 8. Name one skill you wish you had. I'd want to be able to shapeshift. Into anything :D I think I could have a lot of fun doing that. 9. What super villain would you be? I would be psychology-girl. A villian who uses their supernatural ability to read people's behaviour to get them to give her loads of cheesecake, workout time and and presents. I don't care what kind of presents. Preferably food. Or pink clothing. 10. If you could make or change a law, what would it be? A bit deep, but I'd call for the legalisation and regulation of certain drugs. Not because I take them, but because they can ruin peoples lives. Yes, I'm sure some people can take them without becoming addicted, but what about the people that can't? With proper regulation not only would the government be able to have another tax source, but people wouldn't get trapped into vicious cycles of criminal behaviour to fund drug habits. 11. What is the sexiest name you’ve ever heard? I get really excited when I get to talk about the brain. It's where it's at people! I'm a left handed poler! I feel my (and other people's moods) as colours...I can't really describe this one, but it's ususally easier to understand what kind of mood you're in if I can see what colour it is and sometimes I can taste sounds (a phenomenon known as Synesthesia...basically brain crossed wires!). I love reading. Everything! I prefer fantasy fiction, but I do like a good historical book usually on the history of countries and now and again. I do like a bit of Tudor factual! I play WoW and have done since 2008. I'm the GM of a successful raiding guild and I play a night-elf druid (guardian baby yeah :p). I can write legibly with both hands. I have a dog, called Woof, who currently lives with my sister (one bad thing about living in a flat :( ). 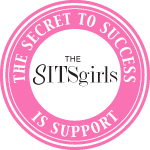 These are my #sweatpink sisters - they all rock, make sure you check out their blogs!! If you could add another limb/appendage to your body - what would it be? If you had to choose one food to eat everyday for the rest of your life, what would it be? If you had to choose between strawberry flavoured hands or an orange flavoured tongue, which would you choose and why? If you could have any job in the world (including one you made up) what would it be? If you were a super-hero, what would be your main ability? If you could fly (like a bird) - where would be the first place you went? What is the nicest thing someone has said to you recently? Thank you Michelle! I'm honored and excited!! I will get working on my answers, facts, questions, and new nominees! You're more than welcome Diane :D I love your blog! :) Can't wait to see your answers!! http://runninrocker.com/2014/07/liebster-award-nomination/. Here are my new nominations along with my answers, facts, and new questions! Thanks again Michelle! !